Suspense filled and action packed. 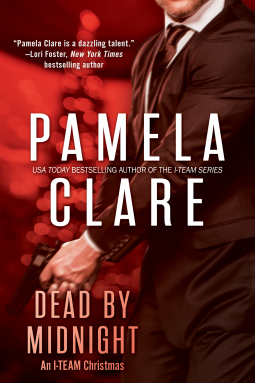 Dead by Midnight is sure to entertain whether you are new to Pamela Clare's I-Team or an avid follower since their first adventure. The author does a great job of writing different roles for the multiple heroes in the story. Each action scene, the characters and sequences of events are all easy to follow. The stress and fear that the hostages experience jumps from the page and the terrorists are sufficiently nasty and believable.